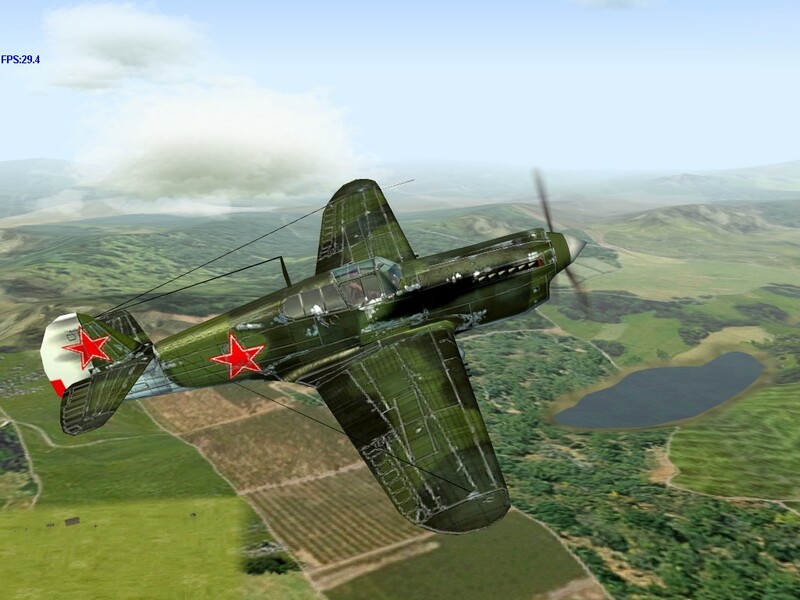 Durability – The P-40E continued the trend of being able to sustain great amounts of battle damage, making it capable of absorbing far more damage than the native Russian fighters. 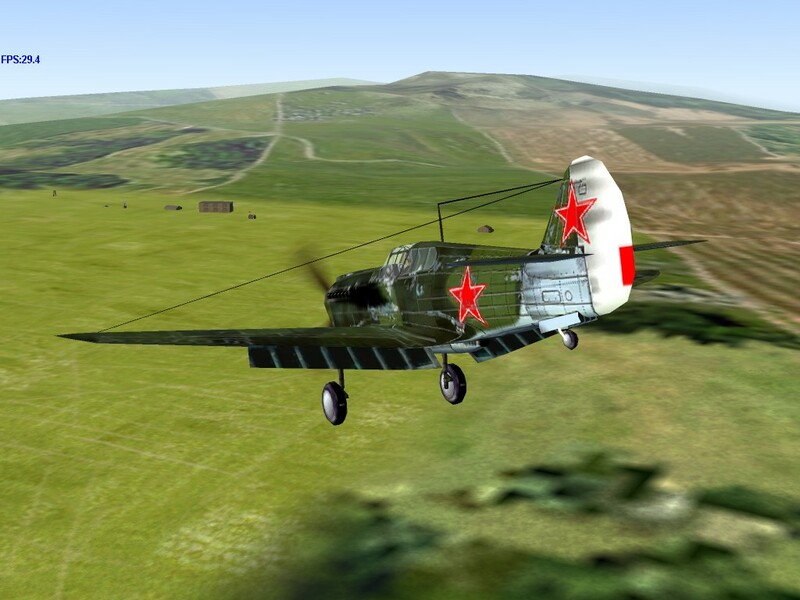 Guns – Six .50 caliber machine guns with 280 rpg gives the Kittyhawk pilot more hitting and killing power than any Soviet fighter except the La-5FN and La-7. 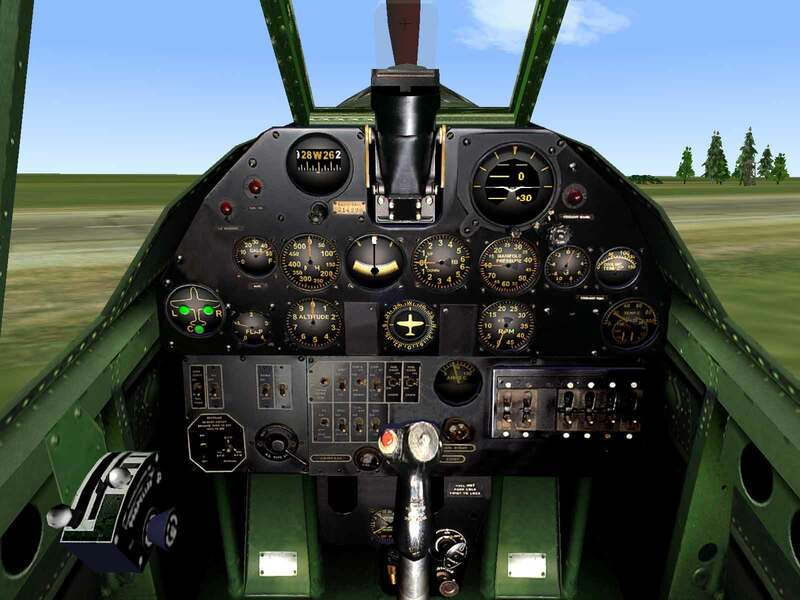 High Altitude Performance – Despite the newer engine, the P-40E is still rather sluggish and unresponsive at high altitude. 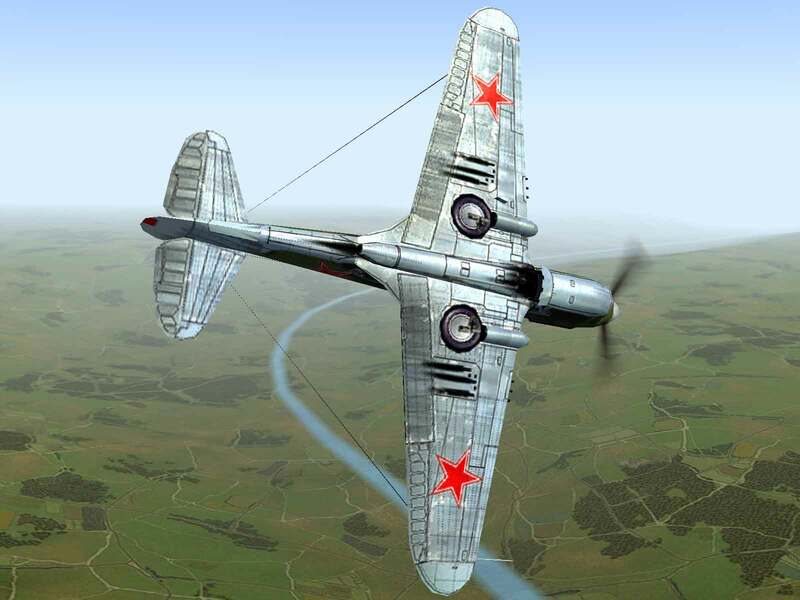 In particular the climb rate and ceiling were poor compared to contemporaries such as the Spitfire and Bf-109. Early in 1940 the new Allison V-1710-39 engine became available, and Curtiss set about redesigning the P-40 to accommodate the new power plant. The new P-40D model was visibly different from the P-40C, but in fact bore the new Curtiss development designation “Hawk 87A”. The most visible difference from earlier P-40s was the addition of a deeper radiator “chin” under the engine. This new engine arrangement necessitated the removal of the nose-mounted machine guns in favor of placement in the wings, two .50 caliber machine guns being mounted in each wing with 280 rpg. 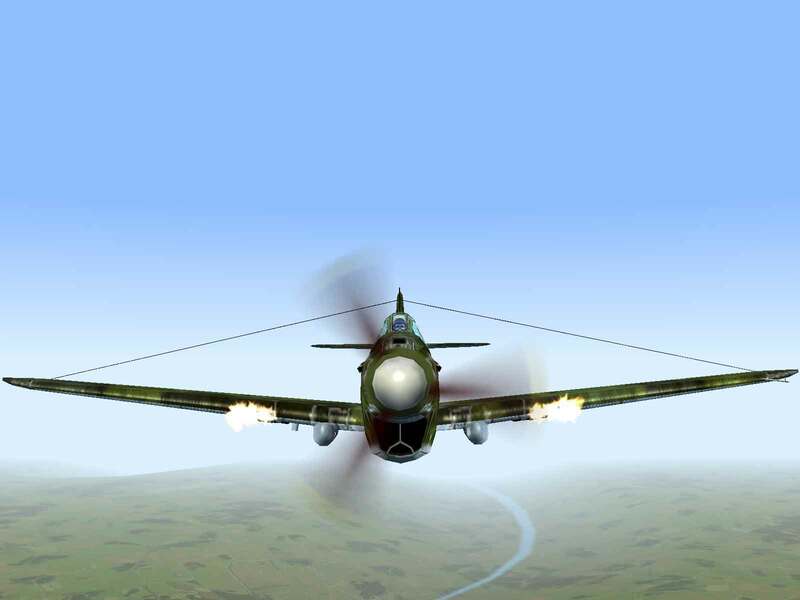 After a production run of only 22 P-40Ds an extra .50 caliber machine gun was mounted in each wing, the subsequent model being designated the P-40E by the US Army and the Kittyhawk I by the RAF. In addition to the improved armament, the “E” model incorporated newer hydraulic gun chargers, which replaced the unreliable mechanical charging system that was generally bypassed in the field. 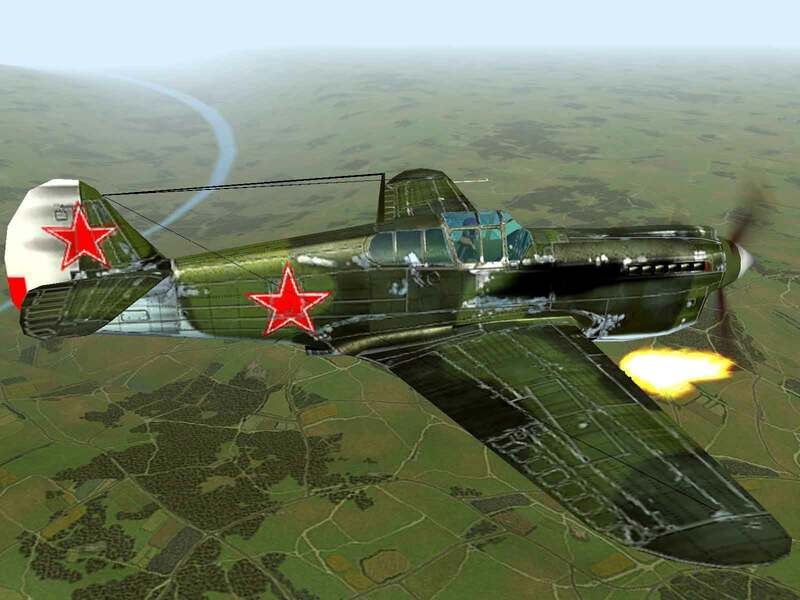 Additionally, the P-40E could carry either a 52-gallon drop tank or a 500 lb. bomb under the fuselage. 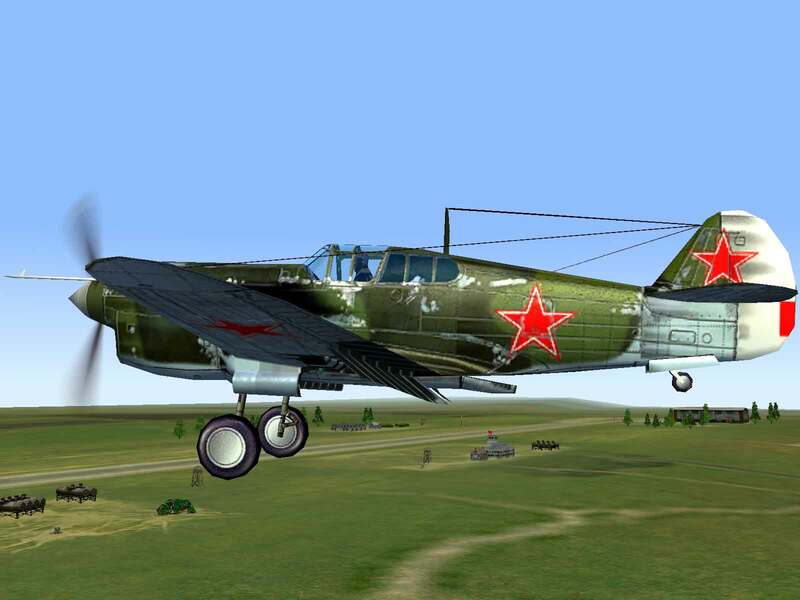 As P-40s were starting to be phased out of US service, surplus aircraft were shipped to the Soviet Union under the “Lend-Lease” program. 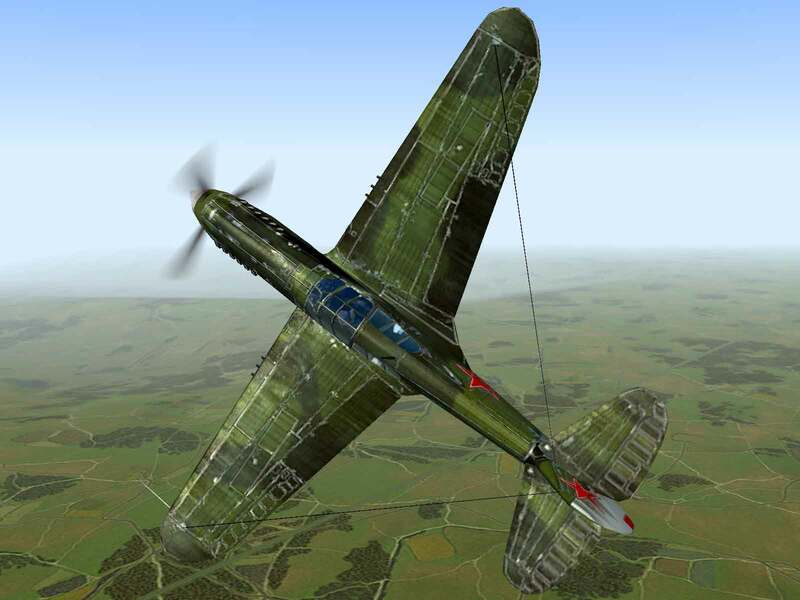 Despite being obsolescent as a front-line fighter, the P-40 was capable of carrying larger bombs than the native designs and was more durable, thus finding itself a place as a ground-attack fighter. As with many other foreign designs, the plane’s armament was augmented by the installation of rails to allow it to carry four RS-82 rockets. However, unlike the British Hurricane whose .303s were quickly replaced, the six .50 caliber guns were sufficiently heavy to wreak havoc on the numerous enemy soft-targets and installations. McDowell, Ernest R.; Curtiss P-40 In Action; Squadron/Signal Publications, Carrollton, TX; 1976. Green, William; War Planes of the Second World War: Fighters Volume Four; MacDonald and Company, London; 1961.